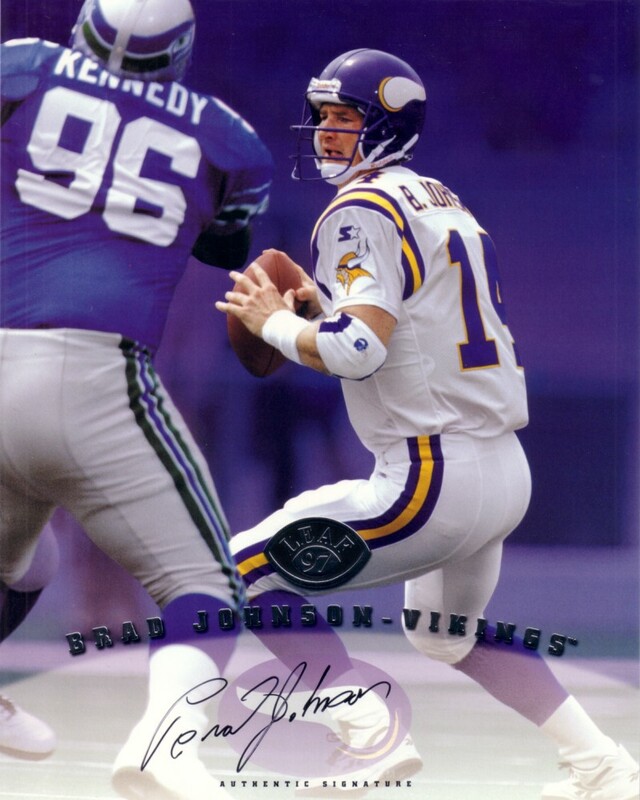 1997 Leaf Signature 8x10 photo card with certified autograph of former Minnesota Vikings quarterback Brad Johnson. With certificate of authenticity from AutographsForSale.com. ONLY ONE AVAILABLE FOR SALE.